This section of the guide will give you an overview of the trips that have been entered onto the system and how to view the details of them. 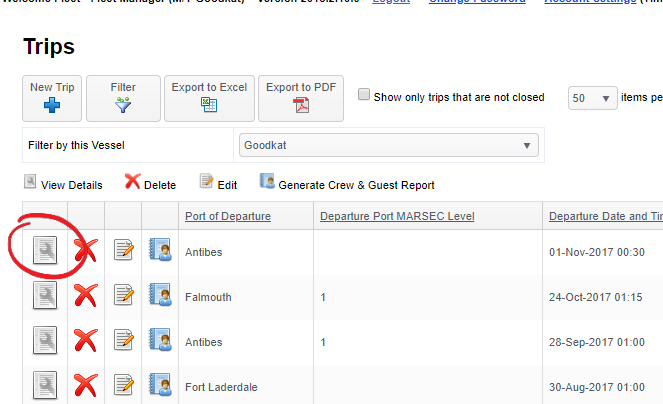 This page will show you all Trips that have been entered onto the system, ordered by the departure date & time entered on the Trip. To see more details about a particular trip click the 'View Details' icon next to it.